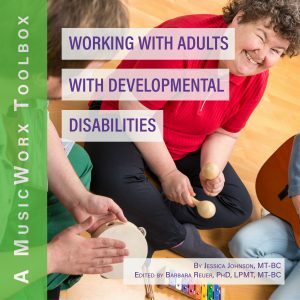 The MusicWorx Toolbox course Group Music Therapy Interventions Successful Approaches for Older Adults with Varying Abilities is ideal for working in an older adult setting. But the ideas are adaptable to fit almost any population, helping clients achieve cognitive, sensorimotor, speech and language, social, and emotional goals. 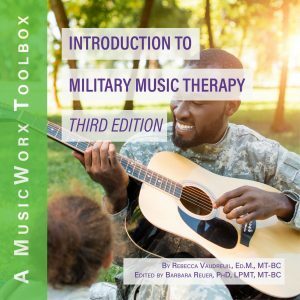 These intervention ideas are thorough enough that music therapists may replicate them exactly to create successful therapeutic sessions. But they also may incorporate any therapist's unique artistic interpretation. The author describes how to adapt sessions to groups of clients with varying abilities, typical of older-adult communities. References to items on the Board Certification Domains are based on the Practice Analysis Study of 2014. 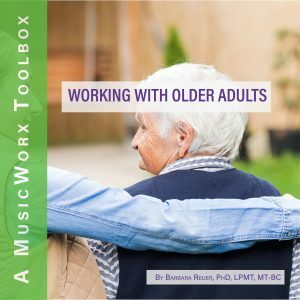 Those registered for the MusicWorx Toolbox course Group Music Therapy Interventions Successful Approaches for Older Adults with Varying Abilities will develop or improve their abilities to help others express themselves through active music-making, writing songs, and by analyzing lyrics. Participants will learn these skills for group settings and individual work. Create a themed session plan with content and interventions appropriate for older adult populations. 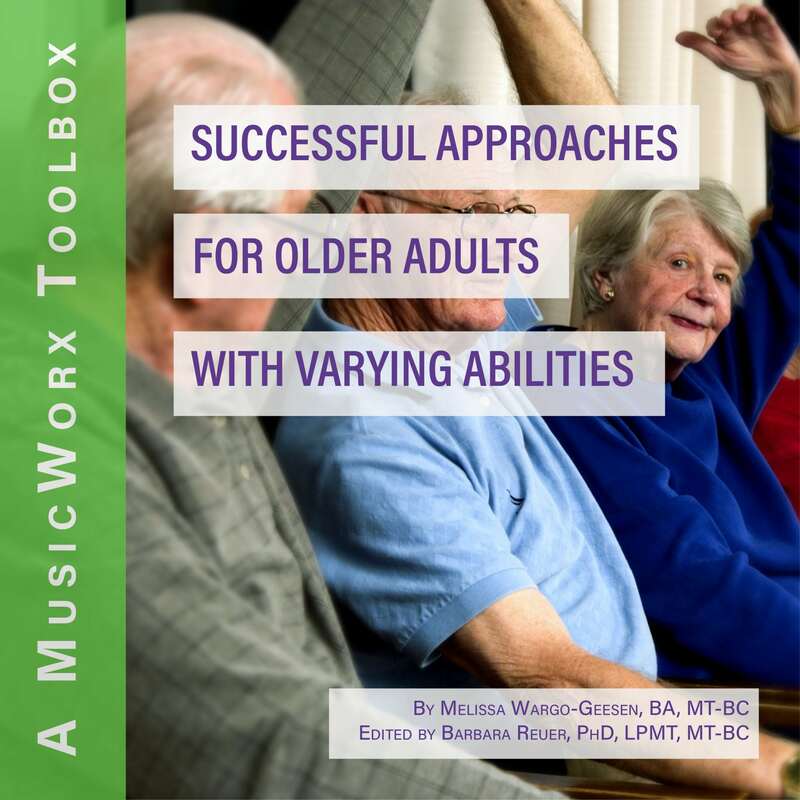 Explain considerations for selecting recorded music for use in older–adult movement interventions. Create a repertoire of 25 songs to use with older adults. Compose and / or arrange a vocal or instrumental piece of music for an older adult population. Melissa earned her Bachelor of Music Degree at »Kent State University in 1988 and her Music Therapy Equivalency Degree from »Baldwin Wallace College in 1993. Since completing her internship at »Philhaven short-term psychiatric hospital in central Pennsylvania, Melissa has focused on and served the geriatric population as a music therapist and activities director at numerous long-term care facilities in the Akron, Canton, and Greater Cleveland areas. Throughout the 1990s, Melissa was a frequent presenter at local and national music therapy conferences. And in 1997, WEWS TV ABC News Channel 5 documented Melissa’s work in the Alzheimer’s disease field. For the last five years, Melissa has mainly been providing services for hospice patients at Vinney Montefiore Hospice in Beachwood, Ohio. The separation between high and low and lowest functioning clients was most useful. After a four-year hiatus from music therapy and working with geriatrics, this course was the perfect reminder of strengths and needs of clients. I also loved having entire sessions outlined for me, along with helpful adaptations. Once again these Toolbox Trainings did not disappoint! I've been meaning to complete a new songbook for my patients and this allowed me to accomplish that goal! I find the information/group sessions to be a fantastic refresher and give me plenty of new ideas to bring to my groups. The ability to complete these assignments according to my own schedule and time frame is so beneficial my "free" time to complete CMTEs is limited and being on my own makes it easy! Thanks again! I look forward to the next one. What was most helpful with this course is having a book with 15 themed session plans. This is a great resource. I can continue to use it in my practice for years. I thought this CMTE course was well put together and the objectives were easy to understand and met. Thank you for an excellent self study course! It spurred some badly needed creativity in session planning as well as validated many things that I already do. I found the amount of ‘varying’ was useful for this population. The course was laid out very well. The first eight pages of the book contain "special considerations" when working with older adults. This was really wonderful information. I liked the diversity of the music therapy session interventions. I love being able to do these self-study courses at my own pace. All of the courses through MusicWorx have been exception. This has been my favorinte one. Thank you for these toolboxes.